This release contains bug fixes and some minor changes. Note that support for custom type names was added in a previous Json.NET release. One commonly asked for feature is the ability to customize the value of the $type property when using TypeNameHandling. Fortunately new in .NET 4 is the virtual SerializationBinder.BindToName method that translates a Type to a custom string. To customize the $type property in Json.NET just create a class that inherits from SerializationBinder and override the BindToName and the BindToType methods with your custom naming logic. The example SerializationBinder example below serializes types to just their name without any namespace or assembly information, those details are passed into the binder itself via a constructor parameter and used during deserialization. The simplest way to use a custom serialization binder is with JsonConvert and JsonSerializerSettings. To deserialize just reuse the custom SerializationBinder with DeserializeObject. Here is a complete list of what has changed since Json.NET 4.0 Release 3. 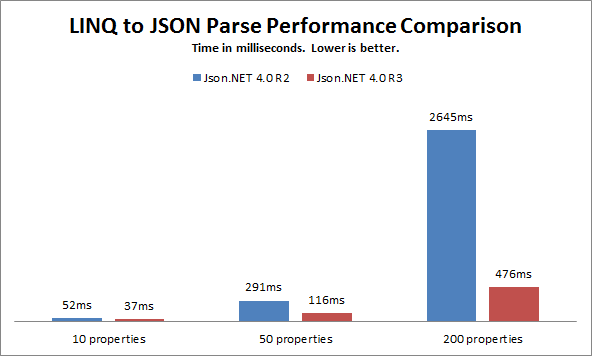 One of Json.NET’s most popular features - LINQ to JSON – has gotten a speed boost. Previously the LINQ to JSON collection objects (JObject and JArray) internally used a linked list to keep track of their children. While this gave them complete control over the order of properties inside objects, it made lookups by key (a property name for an object, an index for an array) slow over large JSON documents. Json.NET 4.0 Release 3 changes the internal structure of the collection objects to eliminate linked lists – JArray now uses a list internally to store child values and JObject uses a combination of a list and dictionary, letting it preserve property order and make property name lookups O(1). From your perspective the API for LINQ to JSON is exactly the same, it is just faster. 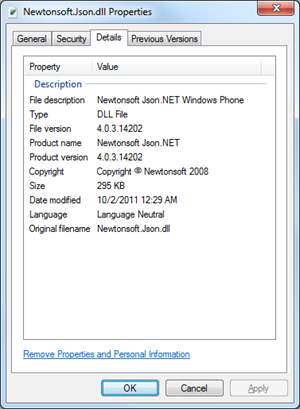 If you want to find out exactly which version of the dll you are using the Windows file properties dialog display’s a .NET assembly’s title as the File description. 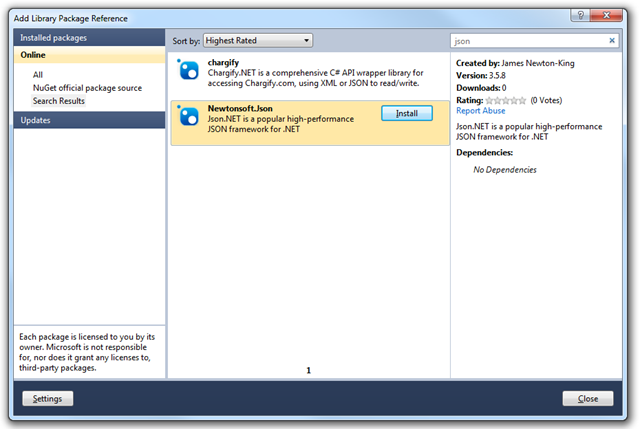 Here is a complete list of what has changed since Json.NET 4.0 Release 2.